These days with concerns about the environment and their own health, many people are preferring natural alternatives over synthetic chemicals. However, natural alternatives are not necessarily safer than synthetic chemicals, for either the user or the environment. Some biological insecticides as well as home-made remedies may have the potential to harm people, and may be just as effective at killing beneficial insects as they are at killing pest species. The term 'natural alternatives' covers a range of options. Commercial organic growers consider any naturally occurring mineral or botanical compound acceptable — for example, copper spray to combat fungal or bacterial disease and pyrethrum to kill insects. Stainless steel mesh may not be a 'natural' material, but it is certainly a non-chemical way of stopping termites entering any timber structure in the home or garden. Another physical barrier that serves the same purpose is crushed granite. 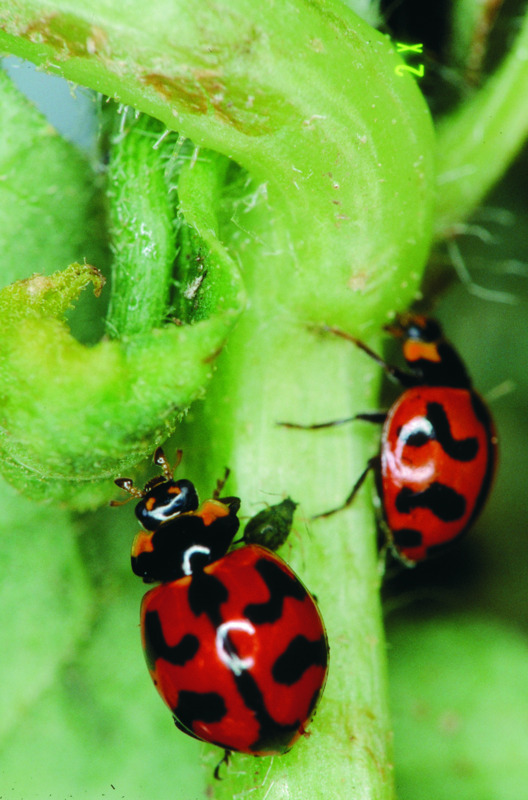 A number of commercially available insecticides are biological. Diatomaceous earth (fossilised remains of diatoms, a type of hard-shelled algae) kills aphids, ants and caterpillars by desiccating them. Some products contain soil bacteria such as actinomycete or Baccilus thuringiensis that are toxic to certain beetles and caterpillars. Other products have spinosad as the active ingredient; derived from a soil fungus, this is toxic to several different insect species and is used in the commercially available splash bait used in the control of Mediterranean fruit fly. Biological insecticides should be handled and used just as carefully as chemical products — and always read the label.